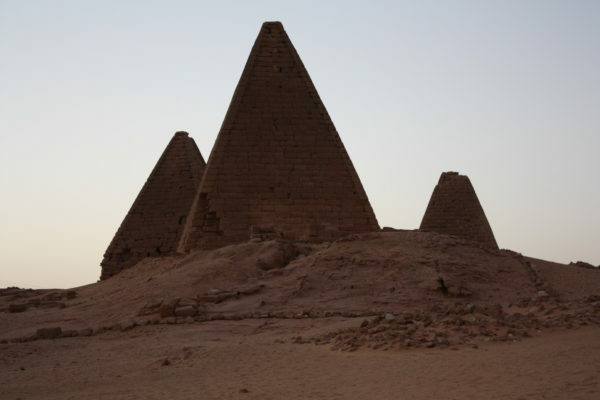 By Nubian pyramids, I mean pyramids in the region of Nubia (today this is southern Egypt and northern Sudan). 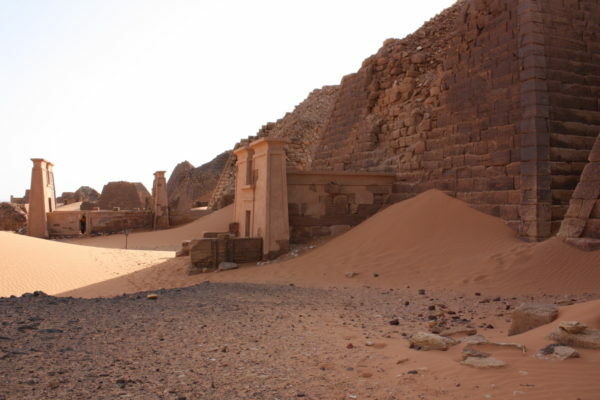 Because historically this area was home to a culture that was older than Kemet, people often assume that there are a greater number of older pyramids. This isn’t true of man-made structures. 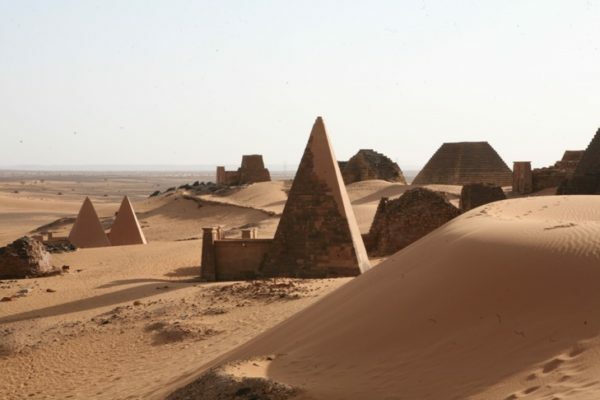 The earliest pyramids to survive date to 8th century BCE, whereas those in Kemet are much older. The pyramids at the site of Giza are traditionally dated to around 2560 BCE. 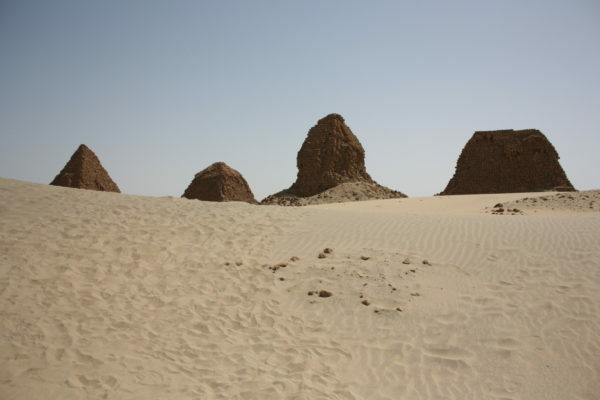 There are, however, thousands of examples of natural rock formations in the Nubian Desert that have the appearance of pyramids. 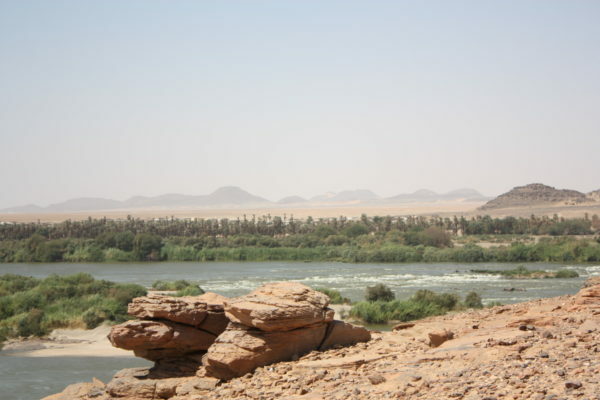 These mounds were formed by water that once flowed through the now desert. They would have been present when people from Kush moved north to settle in Kemet. Their size and number is striking as you drive through this region. The landscape was extremely important to both Kemite and Kushite cultures and played an integral part in how the ancient people explained their existence, and also many of the divine stories that related to their religion. Today, in archaeology, we call this the phenomenology of landscapes, or how people experienced and interacted with their environment. These natural rock creations are striking even to a contemporary visitor to this region. I would suggest that they would have been equally so to someone from the ancient world. I also wonder, but have no direct evidence, if these shapes didn’t somehow inspire the development of the form of the pyramid. 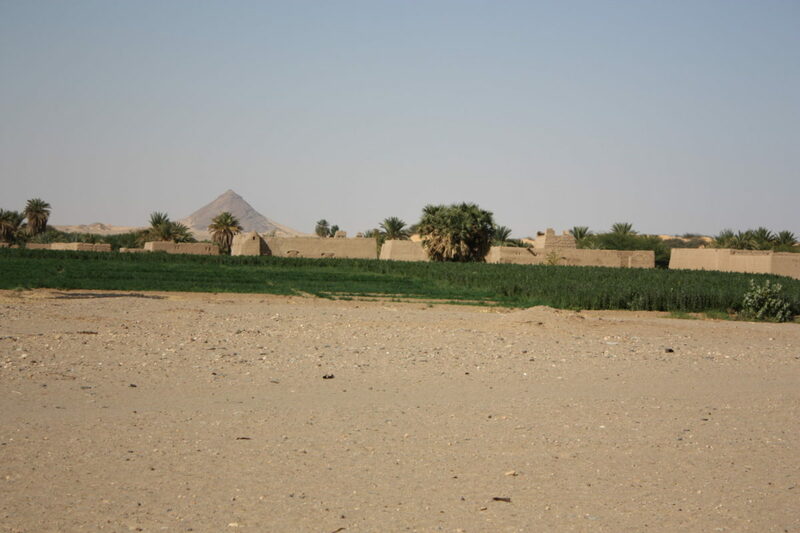 The pyramids at the cemetery of Nuri include that of King Taharqa (690-664 BCE), one of the kings who ruled Kush and Kemet, as part of Dynasty 25. 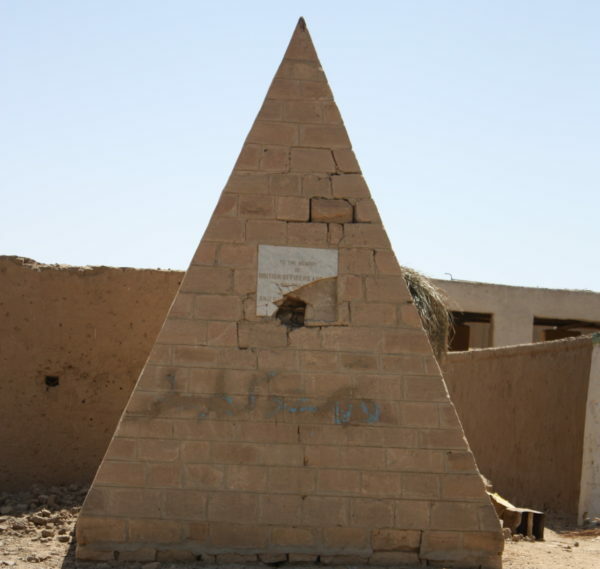 These pyramids were constructed from sandstone blocks, which are extremely vulnerable to the elements. 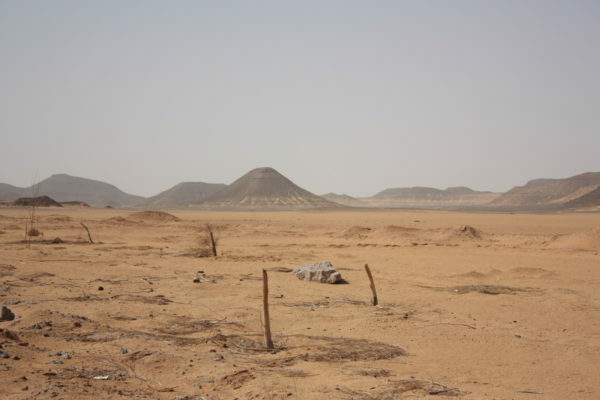 There were 3 cemetery areas at Meroe, or Begarawiyah, in northern Sudan. These are divided into South, North and West and contain over 300 pyramid structures. 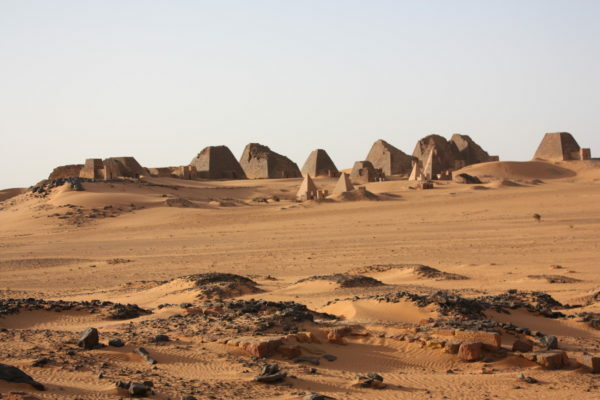 The pyramids at Meroe range from the 8th century BCE to the 4th century CE. Many of these structures were damaged in 1834 by an Italian treasure hunter, who was searching for gold. Archaeologists are still trying to reconstruct and restore them today. The construction of these smaller pyramids included a small tomb chapel at the front. This created a small chamber in which to leave offerings for the deceased (see left). 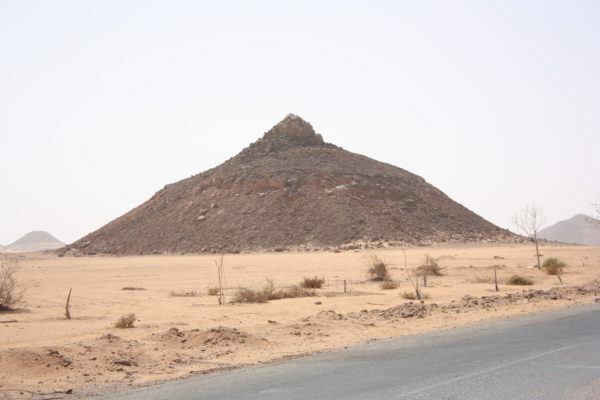 The pyramids at Gebel Barkal housed the burials of rulers of the Meroitic Kingdom and date between the 3rd century BCE and the 1st century BCE. 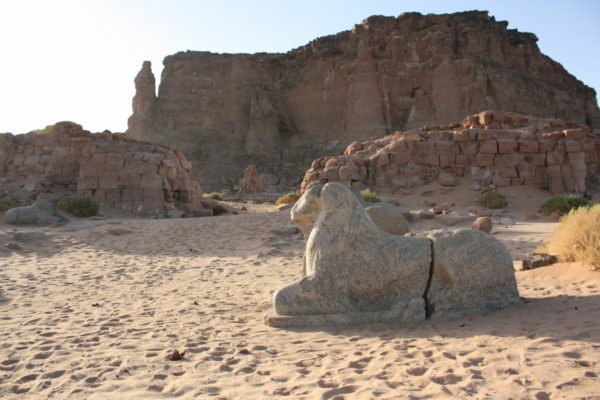 They were close to the sacred rock of Gebel Barkal (above), which again was an important part of the ancient landscape and is an example of a natural phenomenon being recognised and used as a sacred space. As with the other pyramids, these are constructed from sandstone.